We offer stand-alone recirculating air filtration system solutions as well as source capture (with capture flex hose), air purifying systems. 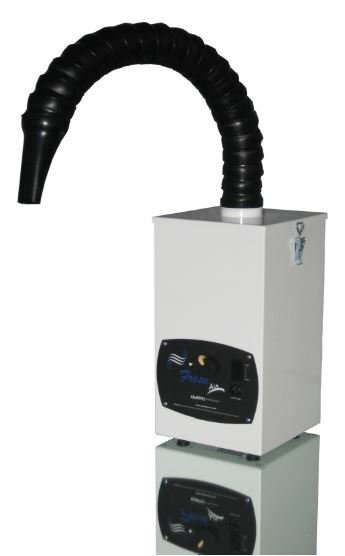 Low-profile, light duty, Multiple filter arrangement allows for disposable bag, HEPA cartridge and gas phase filter, Built in whisper quiet features, Custom chemical filters can be incorporated to deal with specific gas phase contaminants, Optional digital control panel. You may also call us for help with your product selection or send us the filled out contact form below. Call, Toll free: 1-800-626-0664, from anywhere in North America. For your clean air solution in your nail salon, spa, podiatry clinic (podiatrists who make house calls) – fine dust, odor removal and air filtration – we can help. Our air filtration systems are portable, have casters for mobility, prudently priced, affordable, won’t break your bank account. 🙂 These units are well engineered, well designed, superbly fabricated and built with TLC. 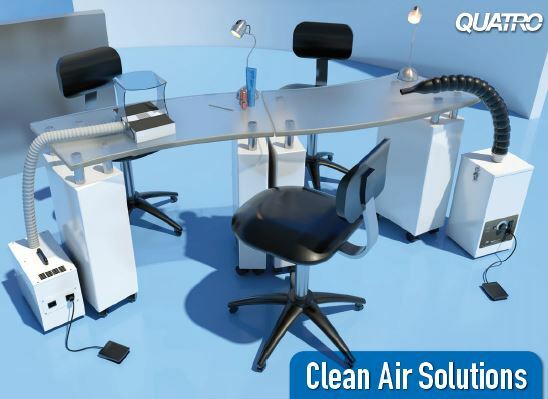 Give us a call for help with your clean air solution – we can help with your product selection. Call toll free, in North America, 1-800-626-0664 – or fill out the contact form below. MedEvac Mini For Podiatrist – a multi-purpose tool and air filtration system with superior pulling and filtration credentials. Capture NAIL & SKIN DEBRIS right at the source, before it migrates throughout the room. Wonderful!! Wonderfully portable and affordable too!! Yes, under $800, and that includes a source capture flex articulating arm- yes indeed!! Contact us for help with your product selection or for help with placing your order– All units are factory fresh – shipped direct from the factory to your door. TOLL FREE : 1-800-626-0664 or fill out the contact form below.